Vegan Homemade Crackers - From Lentils! These lentil crackers are a great gluten-free recipe that will keep you coming back for more. They're a crunchy, wholesome snack your whole family is sure to love. With their rich, nutty taste, homemade lentil crackers are much more satisfying than the featherweight boxed crackers you’ll find on a gluten-free aisle at the store. They pack a nutritional wallop as well, with lentils supplying iron, buckwheat adding trace elements like manganese, and flaxseeds infusing each bite with healthy omega-3s. As with making anything else homemade, there are many reasons to make your own homemade crackers. Healthy Ingredients: It's hard to find crackers that are as wholesome as these Lentil Crackers. Whole beans (sprouting the beans makes them more nutritious), hearty flours and other ingredients with no preservatives or additives makes these crackers a healthy snack you can feel good about serving and eating. Control Over Ingredients: Want a completely organic cracker? Use all organic ingredients. Need a totally vegan recipe? You can do it. Avoiding grains? You can do that too. Save Money: While time of course, is something to consider, ounce for ounce you will save money making your own homemade crackers, especially if you purchase your ingredients in bulk. Store bought crackers, like most processed foods, are quite expensive when you look at the price per pound of the finished product. Gram for gram, homemade crackers are a great value, and putting together the dough is not that difficult. The lentils that form the base of these crackers are not only rich in nutrients, they take less time to prepare than other beans. You can boil dry lentils straight out of the package or sprout them for a day or two and boost their digestibility further (make sure to de-gas the lentils though!). 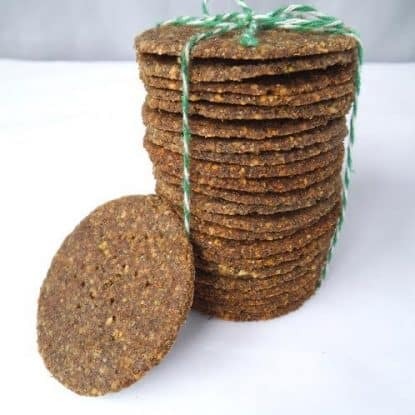 I've made these homemade crackers with both un-sprouted and sprouted lentils, with similar tasting results. Before making each batch, I cooked more than enough lentils and used the extra portions for making soup and hummus. Next time I will consult Adrienne’s roundup of lentils recipes for even more ideas. The process of rolling out the dough and forming the crackers was similar to making my Swedish Hard Tack Crackers, though lentil crackers rank higher in both nutritional value and allergy friendliness. And once the crackers are baked, they are hearty enough to stand on their own. Or you can opt to add a topping, like dairy-free green pesto, cilantro pesto, olive tapenade, or crab salad. I could happily eat these crackers all summer long. Won’t you join me? The above photo is of lentils that were soaked for 12 hours in spring water, then drained and allowed to sprout in the jar for 24 hours. Nut-Free Variation: Substitute ½ cup organic brown or organic white rice flour for almond flour and increase coconut oil to 6 Tbsp. Bake at 325 degrees F (160 C). Low-Carb Grain-Free Variation: Substitute ½ cup (packed) almond flour for the buckwheat flour. Instead of 6 Tbsp of ground flaxseed, use 3 Tbsp ground flaxseed and 3 Tbsp organic ground chia seed. Reduce coconut oil to 4 Tbsp. The dough will be soft and will not need any water added. Bake at 300 degrees F (150 C). 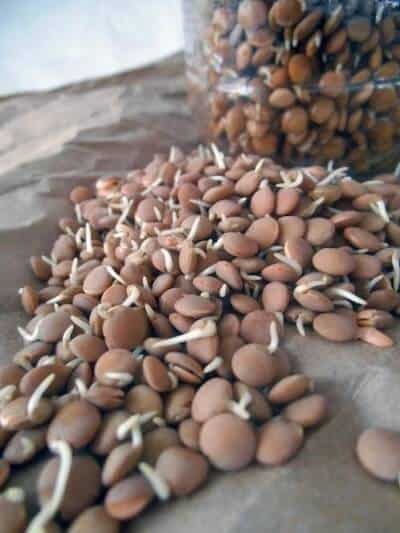 De-Gas Beans: Make sure to use de-gassing methods for the lentils if you are not sprouting them. Sweetener Alternatives: You can use a pinch of stevia (read this post on how to use it) instead of honey for a lower-carb option. Vegan Notes: The debate about whether honey is vegan or not is complicated. I personally think honey qualifies as being vegan, but if you wish to avoid honey for this or any other reason, you can use another sweetener according to the information in this post. There isn't much honey in the recipe so it's not imperative to follow those directions or us any sweetener at all, however. This Vegan Homemade Crackers Recipe is amazing. Made from lentils and buckwheat, with a grain-free option. Puree cooked lentils until smooth. Combine lentils and flax seed, followed by honey and coconut oil. Stir well. In a separate bowl, whisk together the flours, salt, and baking soda. Combine the wet and dry ingredients and stir well to form a crumbly dough. Gradually add water by teaspoons until dough is neither too crumbly nor too sticky. Cover dough ball and chill for 10 to 15 minutes. Divide dough into 2 portions. Place a large sheet of parchment paper on a flat surface or countertop and dust lightly with a little buckwheat flour. Place one portion of dough on the floured parchment and then lay another sheet of parchment on top. Use a rolling pin to roll out the dough to an even thickness (about 2 mm). To make square crackers, simply score the dough at even increments to form a grid. To make round crackers, use a round biscuit cutter or cookie cutter to cut shapes. Gather scraps of dough and roll out again to form more crackers. Carefully transfer each shaped cracker dough piece to a parchment-lined baking sheet. If one breaks, add it to the next portion of dough and try again. Store cooled crackers in a tightly sealed container. These crackers would be great with either sweet or savory partnerings. Think cheese (or vegan cheese like this sunflower seed cheese or almond feta), sesame-free hummus, homemade nut butter and jam or honey. What would you eat these homemade crackers with? Julia resides in the province of Saskatchewan, where she has inherited a love of Saskatoon berries. Her four children were born in Thailand, Vietnam, Chicago, and Nebraska, respectively. In Oklahoma she once had the pleasure of meeting Adrienne in person. Developing recipes with healthy, affordable ingredients is one of her favorite pursuits. 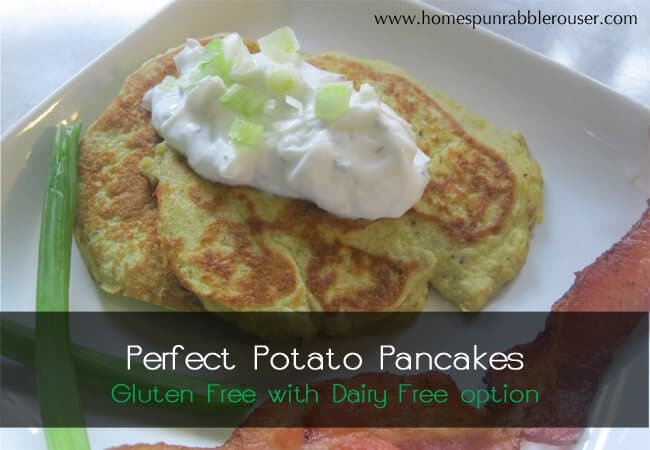 At her blog, Swirls and Spice, you'll find a growing collection of dairy-free recipes. You can also see what she's up to on Pinterest, Facebook, Google+, and Twitter. Fantastic ! Dead easy, quick and very moreish ! I omitted the honey as I wanted them for cheese. Delicious ? . Thanks for the great recipe. So glad to hear it! I bet the honey would be OK with the cheese actually but I totally get it! You are welcome! This recipe can’t be labeled vegan since honey is one of the ingredients. Hi there. I’m aware of that controversy. Personally I don’t think that honey is a non vegan ingredient and there are many in the vegan community who would agree with me but I put some notes in the post re: an alternative. Thanks for reading and I hope that you try the crackers and enjoy them! 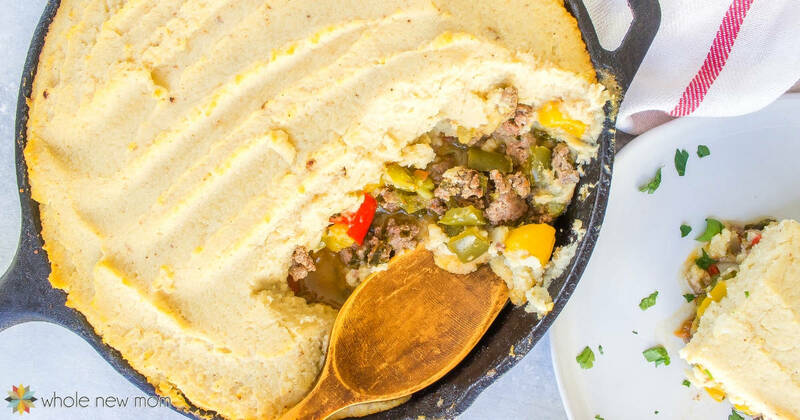 This recipe looks like it’s everything I want. 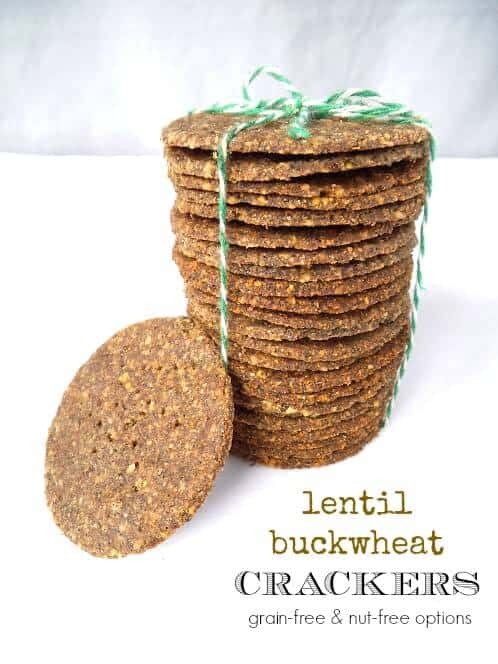 I’ll admit I stopped by bc I was looking for cracker recipes but then I saw the sprouted lentils and I got really excited bc Im always looking for something to use up my sprouted wheat berries. However I’m super confused. Are the lentils or grains supposed to be precooked? Are they boiled after they’ve sprouted? Are the beans/lentils meant to be processed into the crackers immediately after cooking so they’re warm? The recipe is unclear. There’s a picture of sprouted lentils but step one says to add cooked lentils to the bowl. Hi there. Sorry for the delay — we lost power and just got it back. The lentils are cooked as mentioned in the post. The grain is just flour so it’s not cooked. Since the beans are cooked, yes, they are boiled after sprouting. Please tell me what is unclear. I just added one ingredient step to help with it. I didn’t write the recipe–it’s a guest post. I can try to go back and redo it. Thanks for the suggestions. Hi! This recipe sounds amaaazing!! I don’t use oils, so could i just leave it out? Should i add instead some extra liquids(water)? 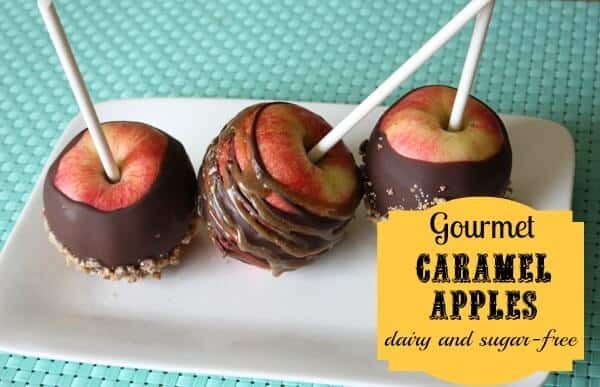 I haven’t tried these without water–I would think that something else would work better like maybe some applesauce? Not sure it will work but you can try and hope you like them! I am looking for a cracker I can take on a long distance 3-week ocean kayak trip. These sound great, but what would be a reasonable expectation for shelf life? If I am careful to fully dry them, how long would they last in summer outside the fridge? Hi there – I can’t make a solid shelf life claim esp bc your summer temp / humidity will differ than others. I personally wouldn’t worry about 3 weeks but can’t be sure – have a great trip!! Thanks, I’ll be trying them this summer in Tasmania. I made my first batch today, and they turned out fantastic – better than I could have imagined. I’m having some difficulty not eating them all now. I actually did two half batches, and in one batch I added whey protein powder, which made the batter easier to work with and produced a less friable result (maybe whey isn’t vegan). So great!!! This makes me really happy to hear. No, it isn’t vegan. You could add in a little vegan protein instead. What do you mean by friable? Thanks!